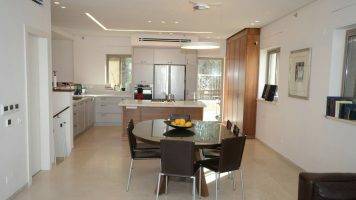 A brand new Tama 38 project in a prime location in Old Katamon. Minutes away from the city’s main sites and attractions, commercial centers, and cultural activities. The First Station, lively Emek Refaim and Derech Beit Lehem Streets, Talpiot and the Old City – all within a walking distance. The building features a welcoming lobby, two elevators, and private parking. 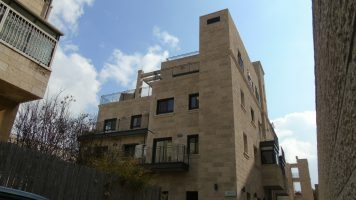 Available is a 5 room apartment on the 6th floor featuring 113.5 sqm of living space and 2 balconies of 10 sqm total, one of them, a Succah balcony. Divided into 4 bedrooms with 2 bathrooms. 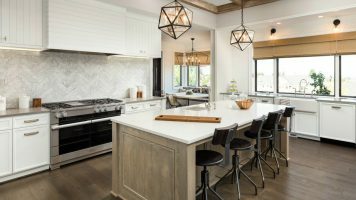 The units boast an uncompromised standard of construction and quality specifications, including Inverter brand air conditioning system, a beautiful kitchen, and a designer front door.